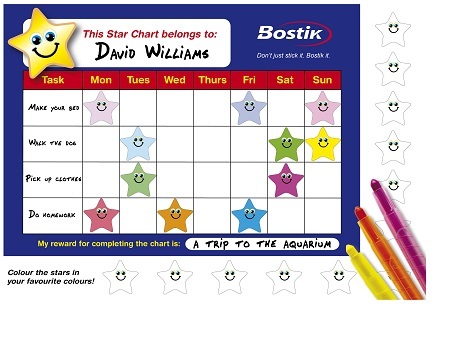 Reap the rewards for your chores with your very own personalised Star Chart. Print out the downloadable template and stick it up with some Prestik. Decorate your stars with Bostik Wax Twisters or Bostik Rainbow Glitter Glue and cut out when needed. Good luck to all our Bostik Stars!